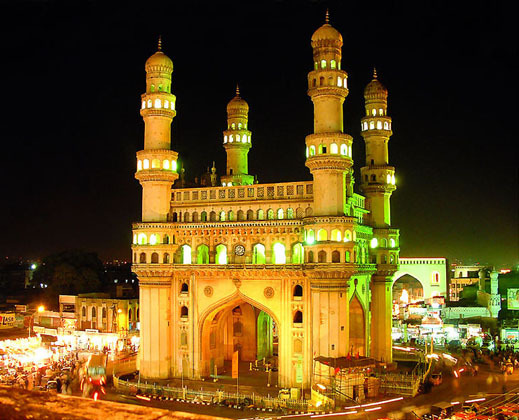 "At Home in Hyderabad": "How Ganesh Got His Elephant Head"
Before I can do any justice to telling the story of our visit to the Birla Mandir temple earlier this evening, readers in the West might need a little background on Lord Ganesh, the elephant headed god so very popular in Hindu culture. I found the story and the symbolism of the Ganesh "icon" pretty facinating. Indian children hear this stuff from the earliest of their formative years. 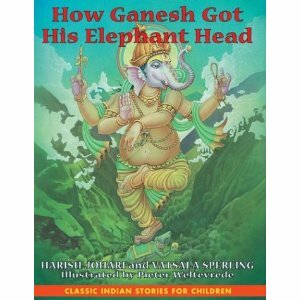 Thanks to Harish Johari (1934-1999) for his little book: "How Ganesh Got His Elephant Head". I find this stuff extremely interesting... YMMV ("Your mileage may vary!") Besides...explaining this to my Western friends might prove a lot easier than explaining Cricket!! Ganesh or, Ganesha — the elephant-deity riding a mouse — has become one of the commonest mnemonics for anything associated with Hinduism. This not only suggests the importance of Ganesha, but also shows how popular and pervasive this deity is in the minds of the masses. Ganesha's head symbolizes the Atman or the soul, which is the ultimate supreme reality of human existence, and his human body signifies Maya or the earthly existence of human beings. The elephant head denotes wisdom and its trunk represents Om, the sound symbol of cosmic reality. In his upper right hand Ganesha holds a goad, which helps him propel mankind forward on the eternal path and remove obstacles from the way. The noose in Ganesha's left hand is a gentle implement to capture all difficulties. The story of the birth of this zoomorphic deity, as depicted in the Shiva Purana, goes like this: Once goddess Parvati, while bathing, created a boy out of the dirt of her body and assigned him the task of guarding the entrance to her bathroom. When Shiva, her husband returned, he was surprised to find a stranger denying him access, and struck off the boy's head in rage. Parvati broke down in utter grief and to soothe her, Shiva sent out his squad (gana) to fetch the head of any sleeping being who was facing the north. The company found a sleeping elephant and brought back its severed head, which was then attached to the body of the boy. Shiva restored its life and made him the leader (pati) of his troops. Hence his name 'Ganapati'. Shiva also bestowed a boon that people would worship him and invoke his name before undertaking any venture. Cue the ghost of Paul Harvey: "And now you know....the REST of the story!!"